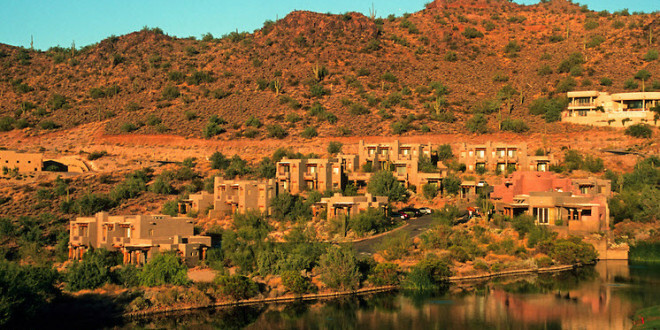 I know many of us have been wondering for months what they are building over by The Pavilions at Talking Stick…well the mystery is solved! Under 6 Feet Tall: 230 lbs max. Over 6 Feet Tall: 250 lbs max. 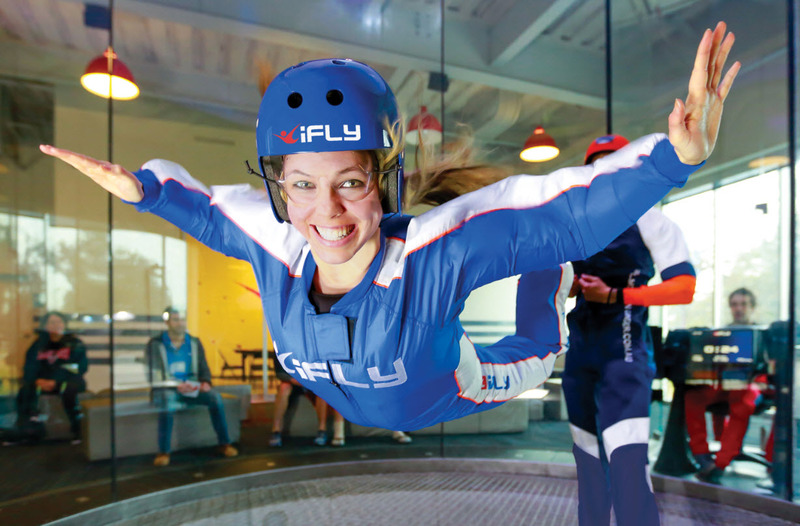 iFLY is where the dream of flight becomes a reality. When you come to iFLY get ready to be blown away – literally. It’s thrilling. It’s amazing. Experience the feeling of freefall as you float on a smooth cushion of air. There’s no parachute, no jumping, and nothing attaching you to planet Earth. It’s just you FLYING in the air. Super fun, super safe and super cool! ARRIVAL: Plan to arrive an hour before your scheduled flight time. CHECK IN: Use one of our handy touchscreen kiosks to check-in. If you have not completed your waiver, you will need to do so before flying. Flyers under the age of 18 will need to have a waiver completed by their guardian prior to flying. Once you have checked in and your waiver has been completed one of our friendly flight crew members will assist you in putting on your flight wristband. This means you are ready to fly. PRE-FLIGHT: After check-in, head to the flight deck viewing area to watch people, just like you, flying. FLIGHT TRAINING: The certified flight instructor assigned to your class will find you in the viewing area and guide you to the classroom for flight training instruction. During training you will learn proper body position for flying and hand signals the instructors will use while you are flying. Remember, relax and have fun! GEAR UP: After flight training your instructor will take you to the gear up counter where you will receive your helmet, flight suit and goggles. FLYING: Your instructor will lead you to the flight chamber and will be with you during the entire flight experience, helping you enter the flight chamber (just lean in) and spotting you the entire time, to help you fly like a superhero. POST-FLIGHT: Your instructor will lead you out of the flight chamber, you will de-gear and receive your personalized flight certificate. Pictures and videos of your flight will be available for purchase at kiosks near the gear counter. 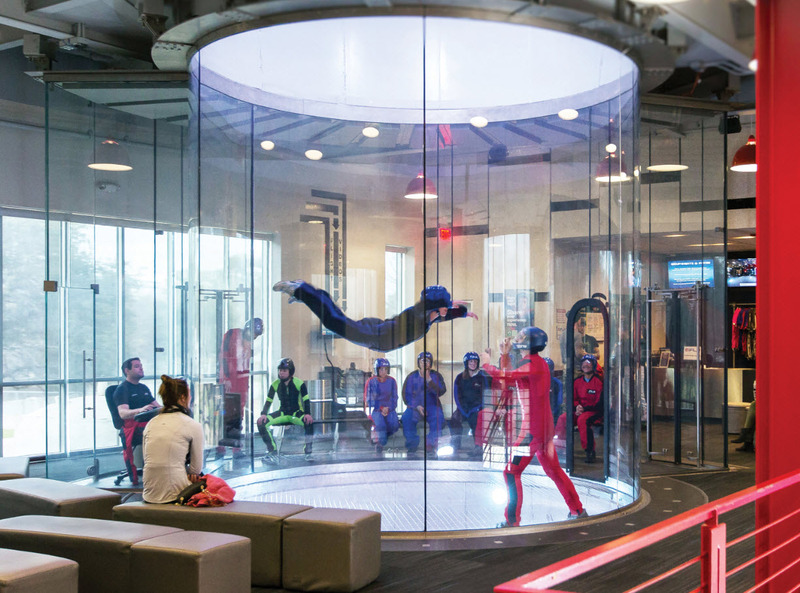 The entire iFLY experience lasts about 1 hour and 45 minutes and each flight is the equivalent of 1.5 skydives. I had many guesses but, did not guess that on…lol. I always wanted to do that.